We’re back folks! Time for another round of Vintage May! If you haven’t heard of this world wide phenomenon yet (har har), well…I’ll tell you all about it. I’m sorry, but what the what? 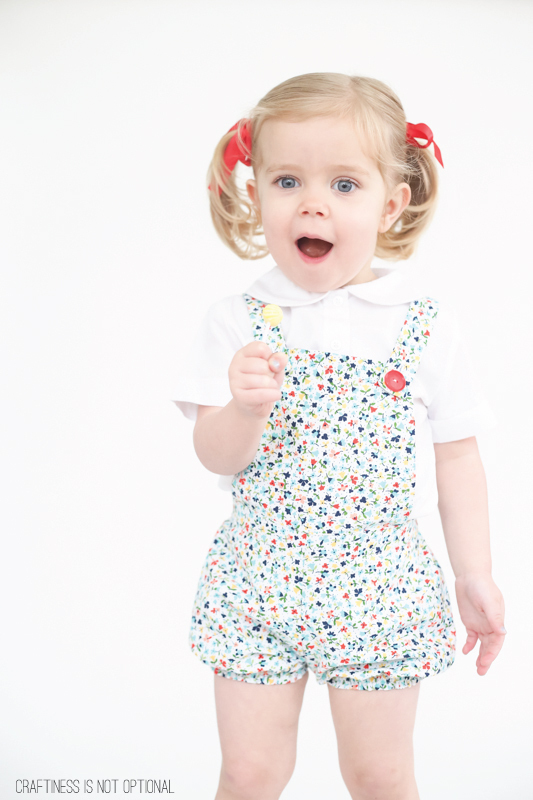 how cute are these little toddler leggies? Ok, let’s talk some shop now. I was totally and completely inspired by this spectacular outfit on Pinterest. I cut them out for the flat front option and also curved the outside edges so it would blouse out a little more once I added elastic. I sewed them up just like normal, and then made a casing on the bottom instead of hemming and inserted some elastic. For the bib-I had to make two actually, the first one was much too short. It ended up being like 8×8″, and I tapered it in on the top by about 1″ on each side so it would fit better. Just sewed those two pieces RST, turned, pressed, and sewed to the center of the front flat side of the shorts. Then I made some quick straps and tried it on Ava to see where to sew them to the back. 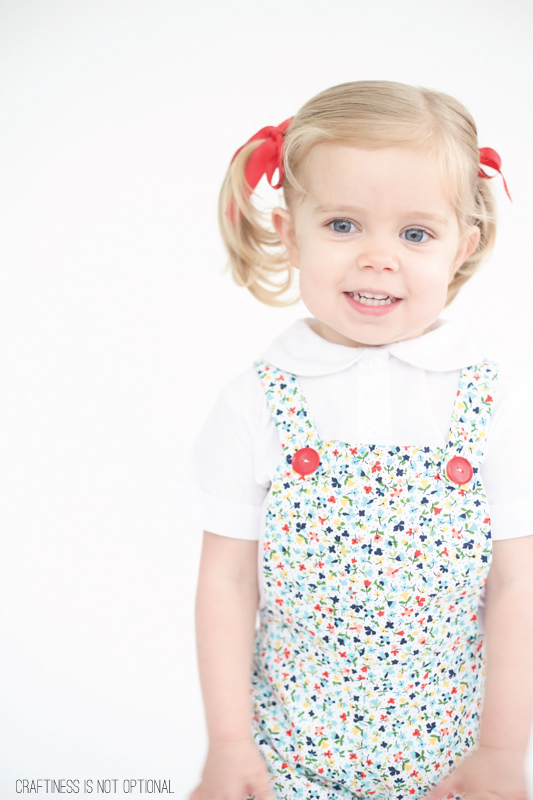 criss cross applesauce, a few buttons later, and tada! Oh, and added buttonholes, of course. Ava really loved the lolly she got. 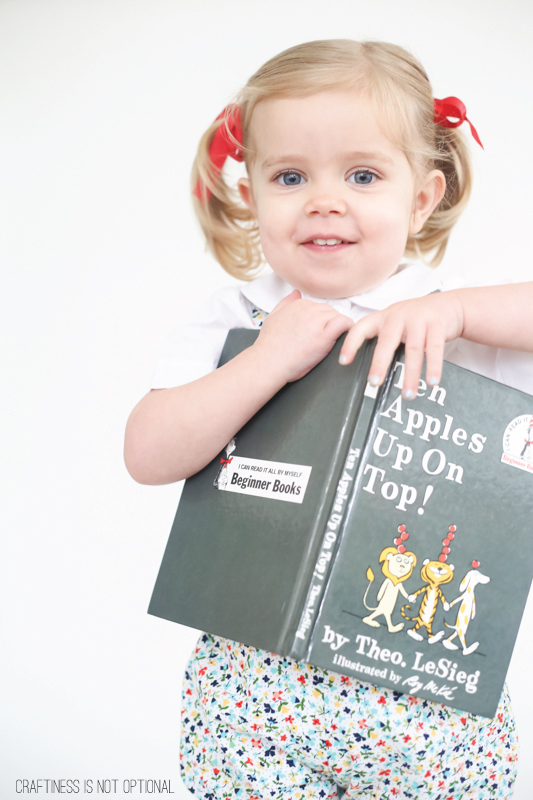 She looks straight out of a Little Golden Book about preschool or something, right? 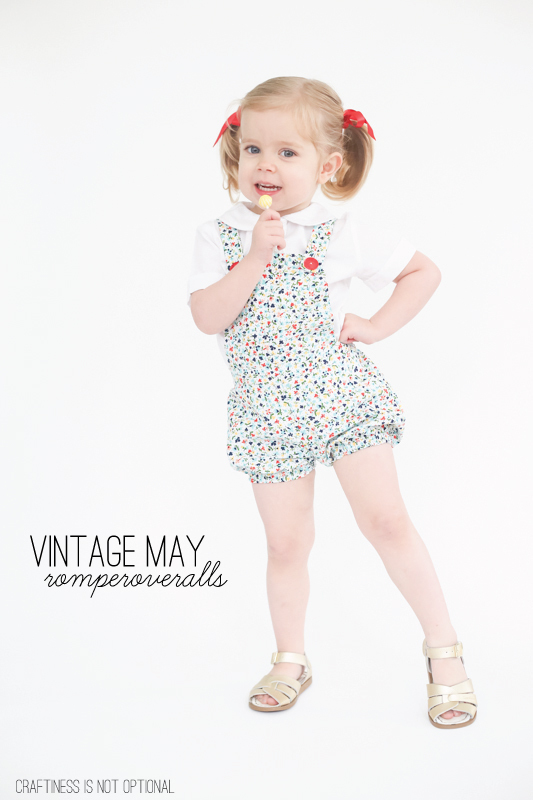 Ava says-Hop over to Kristin’s to see her fabulous Vintage May post today! Wah. This is soooooooo cute. I think I’m going to have to make a pair for myself. Love your fabric choice! OH. MY. CUTENESS!!!! And, totally vintage…. :). She’s adorable!! This is so cute! I’m dying from the cuteness!!! These may be my favorite kids garment ever! Yes! She looks like a little golden book character or the little girl in Prayer for a Child. So, so cute! ROMPEROVERALLS!!! she is seriously cute as a button! i love the fabric and love how these look on her; how will you even handle chasing her around all summer in these things?? yay for the start of Vintage May! These are SOOOO cute! I die. 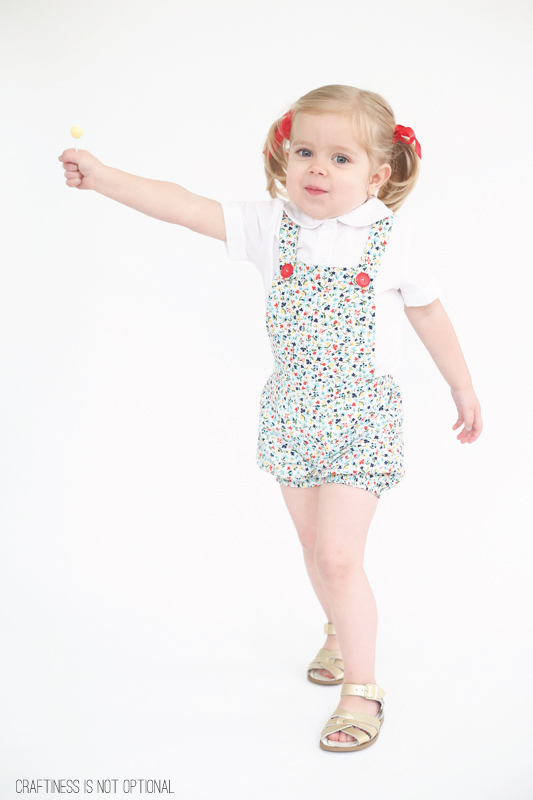 She is so cute and I love the romper overalls. Imsde those back when my kids were small and was sad when they fell out of fashion. Love all the pictures. This is darling. right? haha i thought so too! Well, I am totally freaking out! Please do a tutorial! I must try this. 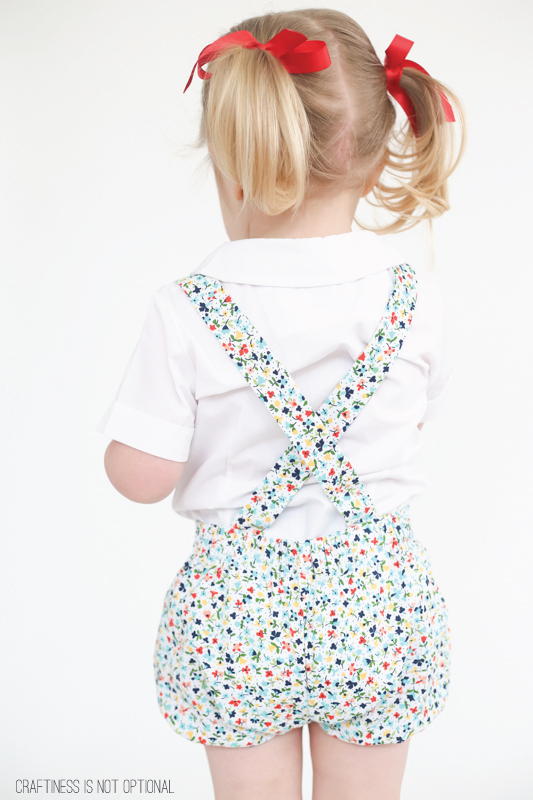 Is a four and a half year old too old for romperoveralls? Ahhh!!!! Soooo cute! I can’t get over the adorableness of Ava and of the outfit! Where did that adorable peter pan collard shirt come from? I can’t sew knits to save my life. I want to order one too! Too stinking cute! I might have to copy this idea. In love with these! 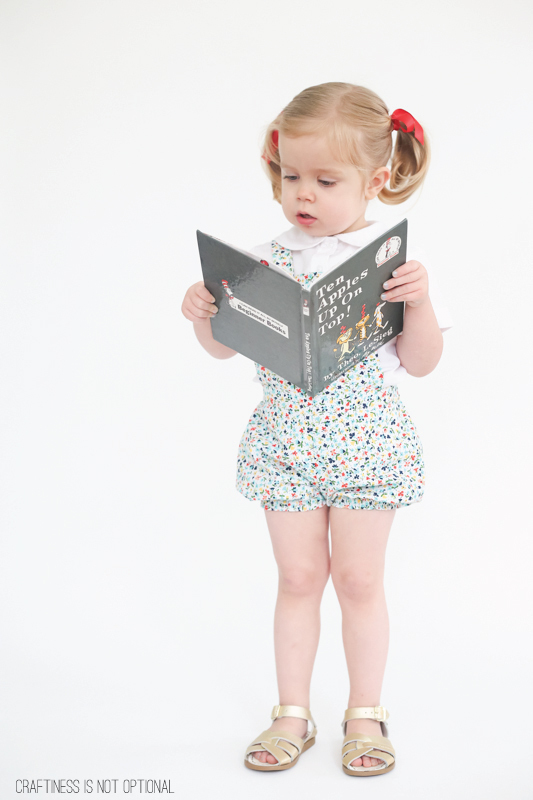 I’m totally copying this idea, I’ve been looking for a romper pattern for my daughter that I can squeeze out of a tiny amount of fabric, and this just might be the ticket. Thank you for the inspiration! My goodness! you can’t get much cuter than that. I have loads of things I’ve Pinned that I want to make but never get round to it. Glad you got to make your Pin. She is soooo cute! 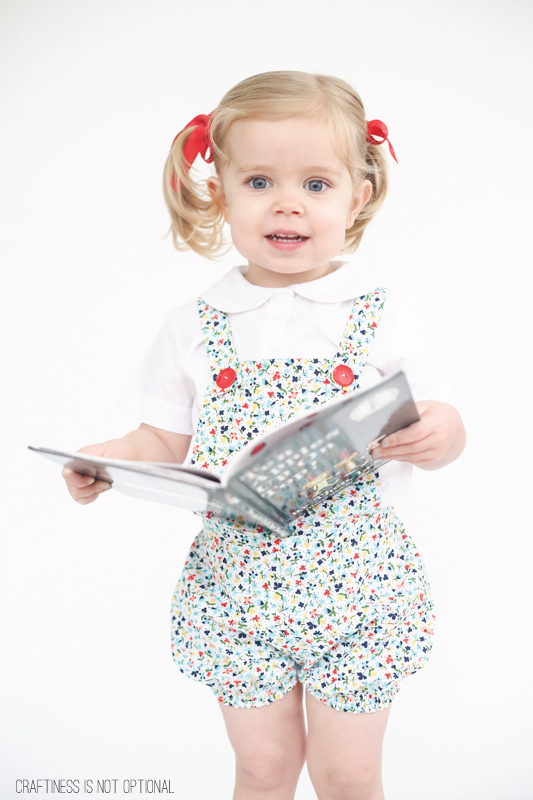 LOVE the romperoveralls! I’ve copied you now for the second year in a row – I made some last year for my one year old with the modifications you suggested to Dana’s shorts pattern and then I just did it again this year for the (now) 2 year old! Thanks so much for the inspiration/direction!